This time of year, the only crop we continue to produce on the farm is fresh eggs. This is the first year we've had laying hens, so we really didn’t know what to expect, especially going into winter. 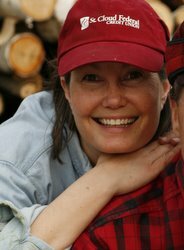 The little bit we learned about laying-hen activity in the winter was through books we read, online research, and other friends who have had experience with chickens. All of these resources combined suggested that as the temperatures cooled off, the hens would slow down -- or possibly even stop -- their egg production through the winter, and they’ll start up again in the spring as the temperatures warm up. 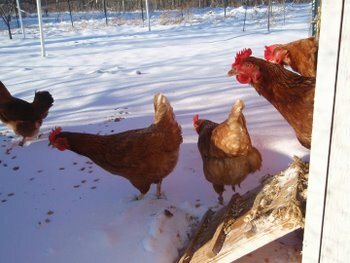 So far this winter, reduced egg production has not been the case at Sapsucker Farms. In fact, quite the opposite has taken place -- our hens are increasing their daily egg output. Right now, our 20 laying hens are producing from 14 to 18 eggs every day. Considering that five of our hens would be considered elderly (in chicken years), it is evident that they are still happy egg producers as well. (Way to go girls!) I’m so proud of our hens, and I let them know every day as I collect the goodies they leave in their nesting boxes. I recently started sharing the excitement in my Daily Egg Count Diary, so you can keep pace with the daily drama as it unfolds as well. This unexpected surprise has left me with a winter-time bumper crop of fresh eggs. Oh dear… what to do with these plump, bright, and beautiful little delectables? 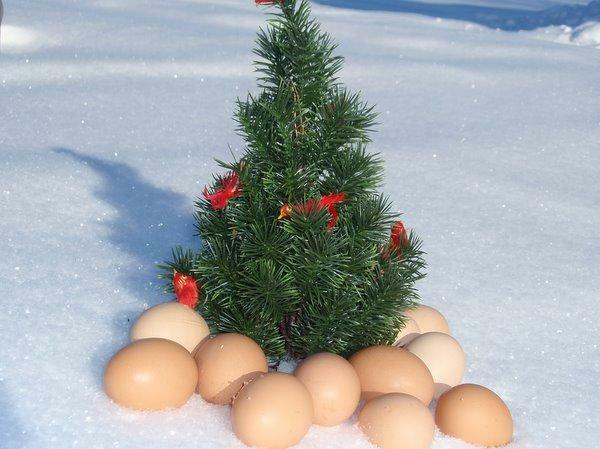 We sell our eggs to our growing customer base, and both my husband and I have increased our egg consumption ten-fold since we became chicken farmers, but it’s Christmastime! What special treat can I make? Egg nog, of course. I confess: I’m a rotten cook. I don’t have the instinctive ability to combine ingredients that magically result in something tasty. And since I don’t have a secret family recipe for egg nog, I took a look at what my favorite Food Network star, Alton Brown had to say on the subject. Sir Alton has a tasty looking recipe, but my kitchen isn’t equipped with all of his impressive gizmos, so I opted to dream about making his recipes some other day in the future instead. Perhaps next year. Then I found this recipe by local grocers Lunds and Byerly’s. It was simple, and I had all of the ingredients on hand. I rolled up my sleeves, cracked my knuckles, wriggled my fingers, and gave it a try. Since our eggs are fresh-from-the-hen and only hours old, they're not pasteurized. That’s what I love about them, but it also means that should be thoroughly cooked. (Erring on the safe side, I cooked the egg nog a little longer than prescribed in the recipe.) I put the warm product into a pouring-style container before placing it into the fridge to cool. After several hours, I was ready to give it a try. Expecting my fresh egg nog to be ready-to-pour into a glass, I was surprised to find a very thick custard that wouldn’t pour out of the container. Re-reading the recipe revealed several mistakes I'd made; it turns out that this recipe converts cooked egg custard into egg nog. (Didn't I say I was a rotten cook?) Making lemonade out of lemons (or egg nog out of custard...), I refused to be disappointed -- I just changed my consumption strategy. I scooped the custard into a bowl and gobbled it down with a spoon. Yum! Despite this unexpected result -- clearly my mistake -- both my husband and I thoroughly enjoyed this fresh, home-made holiday treat. I have since re-made this recipe into the egg nog it is intended to be, and it is equally scrumptious. Here is the recipe. Just be sure to follow the instructions a little more carefully than I did, and enjoy your egg nog (or custard)! Combine eggs, milk, sugar and salt in large saucepan. Cook over medium-low heat, stirring constantly until mixture thickens and coats a metal spoon, about 20 minutes. Stir in vanilla; cool. Refrigerate, covered, several hours or overnight. To Serve: Fold in whipped cream, stir in (optional) liquor. Pour into punch bowl; sprinkle with nutmeg.